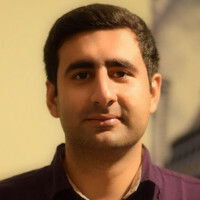 Ph.D. candidate in Computer and Information Science and Engineering (CISE) at Syracuse University. I have earned my B.Sc. in Computer Software Engineering from Iran University of Science and Technology under the supervision of Prof. Sharifi at IUST Distributed Systems Lab. I have done research in cloud computing and virtualization, currently interested in machine learning and its application on ubiquitous systems authentication.